With over 200 years of combined legal experience, Wyland & Tadros has a well-earned reputation as a premier provider of civil litigation services. W&T; furnishes its clients with aggressive and efficient legal advocacy from a dedicated team of trial attorneys with a proven track record of courtroom success. 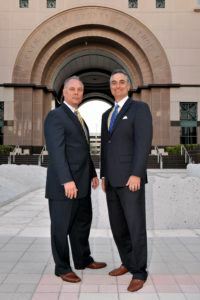 Featuring a keen awareness of industry trends and with attention to new developments in the law, the attorneys at W&T; offer innovative strategies and client-based expertise in a broad spectrum of civil cases including workers compensation defense, insurance defense, auto and trucking liability, product liability, premises liability, construction defects, professional malpractice, insurance coverage, PIP Litigation, bad faith, family law, probate law, employment law and appeals. W&T; is devoted to establishing lasting personal and professional relationships with our clients which yield success both inside and outside the courtroom. With a focus on customer service and satisfaction, Wyland & Tadros LLP employs the latest in legal and office technologies in order to deliver to its clients exceptional work product with maximum efficiency. Wyland & Tadros LLP also features attorneys who are state certified in legal instruction with experience conducting claims seminars – often certified for Continuing Education Credits – to insurance adjusters, risk managers, and employers on a broad array of topics. The Firm’s attorneys are also available to consult with clients in-house where specifically tailored guidance is desired. Wyland & Tadros LLP is located in West Palm Beach, fl and serves clients in and around West Palm Beach, Palm Beach, Pahokee, Delray Beach and Palm Beach County.